The Counterfeiters & Q&A with Adolf Burger as well as launching of his memoirs. Following a screening of The Counterfeiters, the Phoenix is delighted to welcome Adolf Burger for the English launch of his memoir, 'The Devil's Workshop' as well as a Q&A session. Burger's memoirs served as the basis for the film and are being published in English for the first time by Frontline Books. 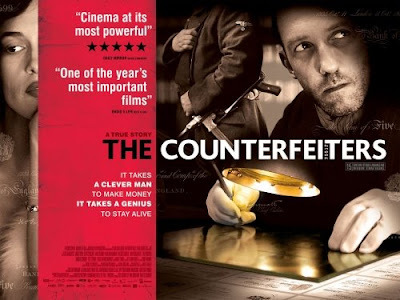 The Counterfeiters follows the World War II story of Salomon Sorowitsch (Karl Markovics), a renowned local forger who is arrested by German police and imprisoned. In a bid for protection and favour with the guards, Salomon turns his hand to portraiture which gradually attracts attention and before long he is selected to join a team of counterfeiters embarking on the greatest forgery plot ever known. 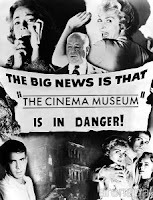 He is moved to Sachsenhausen concentration camp and kept in comparative comfort, with a number of other artistic and printing professionals who are forced to forge American and British currency to support the Nazi war machine. Initially self-preservation in Salomon prevails but slowly his increasing awareness of the role he is playing in the holocaust unfolding on the other side of the fence, and his growing concern for his fellow prisoners causes him to struggle between the moral implications, the pride in his work and his own risk of extermination.